Creative agency Foundation has confirmed that it is seeking legal opinion for an ad for Affinity at Serangoon, which uses footage for a previous ad it created for CDL’s 2016 Forest Woods commercial. The ad ran on Instagram for Affinity without the creative agency’s authorisation. In the initial article published, Marketing reported that CDL’s ad agency would be taking action against the property developers. Upon further clarification, it has come to light that the statement is false and the agency would be looking into legal matters with the creators and not the developers. Marketing expresses deep regret and apologises for injuring the reputation of any of the above-named respectable developers. The ad in question features logos of Oxley Holdings, KSH Holdings, SLB Development and Apricot Capital. Marketing has reached out to the four for comments, and understands that the companies were not informed of the video being created, prior to circulation. The clip in question was that of two young children drawing on glass, followed by that of a clip of two trains moving in opposing directions to signify the North East Line and Circle Line. In a statement to Marketing, a CDL spokesperson confirmed that it is aware of Affinity’s ad on Instagram. The spokesperson added that CDL is not associated with Affinity and added that as an advertiser, CDL does not own the footage but pays the agency and talents for the reproduction and transmission of the entire commercial. It has since notified the creators of the ad – Foundation – and has been informed that the creative agency’s lawyers are “following up with appropriate action”. 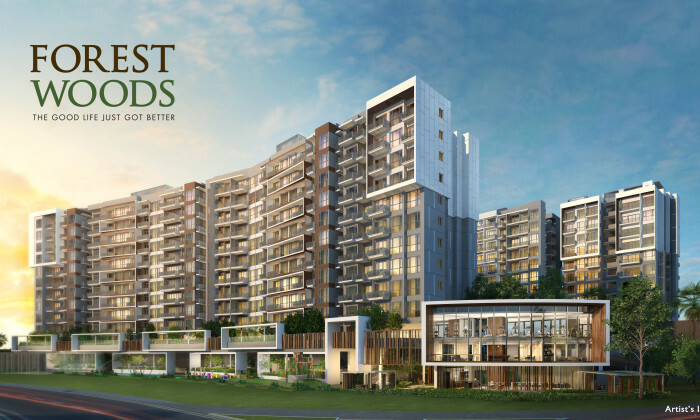 Meanwhile, the ad for CDL’s Forest Wood development was launched in October 2016. The CDL spokesperson added that the ad is no longer being used in recent marketing campaigns as it has already achieved 95% sales.